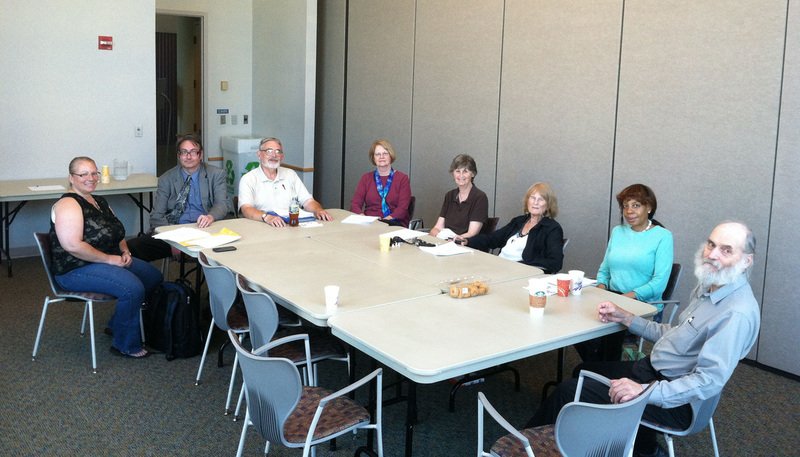 As full-time writer, poet and journalist, lead or participate in frequent workshops in poetry, creative writing, memoir, and combined writing and visual art, through Calvert Library, CalvArt Gallery, Calvert Arts Council, and privately in Calvert County (and before that in St. Mary's County). Since 1970 a poet-in-the-schools, both independently and under aegis of Maryland State Arts Council, working throughout the tri-state area and abroad. Also as freelance journalist, write articles and take accompanying photographs, now mainly for Bay Weekly, earlier for the New York Times, Christian Science Monitor, and Washington Post. 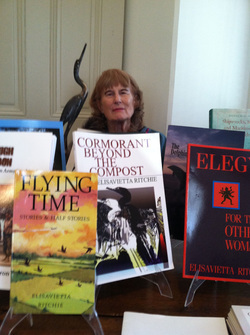 Author of 17 books and chapbooks of poetry and short fiction, latest being TIGER UPSTAIRS ON CONNECTICUT AVENUE and FEATHERS, OR, LOVE ON THE WING, a collaborative book designed by artist Suzanne Shelden, of Ritchie bird poems superimposed on bird paintings by Megan Richard, all three of Prince Frederick. Also created anthology of poems by Southern Maryland poets, HERE, EVEN THE BLUE CRABS CREATE. Much work in literary and some general publications. Many poems and stories influenced by people, creatures and sites of Patuxent River and Chesapeake Bay. Other writing more eclectic and exotic, dealing with broader themes. Widely published, anthologized, and translated. Won several literary awards. President emeritus, and still a fiction editor, of Washington Writers' Publishing House, which considers work by writers and poets living within a 75-mile radius of the Capitol; and this includes much of Southern Maryland. Collaborative projects in progress with historian and photographer Donald Shomette. Occasional literary readings. Also work as editor, translator, and pro bono mentor to college-bound high school seniors.